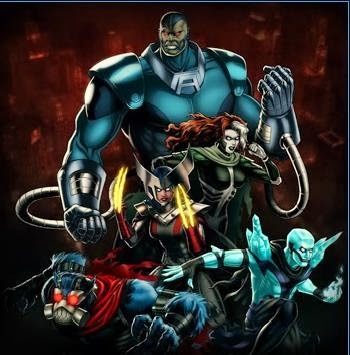 Marvel Avengers Alliance: Covert Task - "Call of the Wild"
Conduits have been cropping up all over, find one and show it to Shanna. Conduits can be found in fights throughout Season 2. 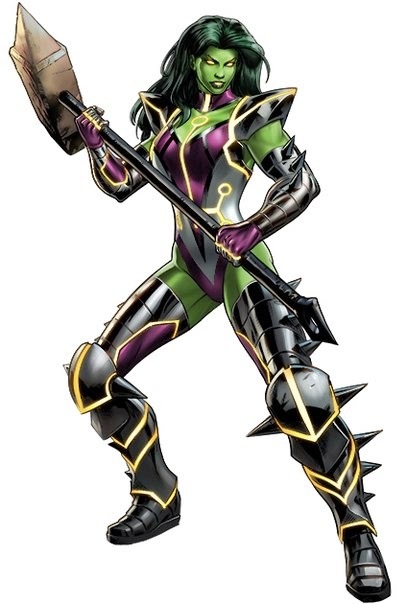 Help Shanna derail Green Goblin's deranged plans for the Savage Land. Take down Venom to prove your worth. Punish the White Gorillas for their impudence. Where the White Gorillas go Man-Ape is sending the orders. Send him a message he wont soon forget. Shanna is interested in seeing how you fight. She's set up a fight in the Simulator to see what you can do. Gather enough conduits to determine their origin to Shanna's satisfaction. Conduits can be found in fights throughout Season 2. You've proven your worth, but one last Simulator fight to prove you can work together with Shanna. A total of 25 Tasks need to be completed in order to unlock and recruit Anti-Venom. Test Subjects can be found in all missions of Spec Op 18. 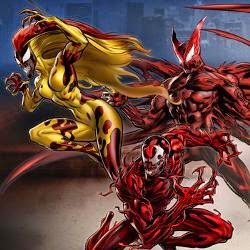 Brush up on your symbiote-fighting skills before going out into the field. Venom can be found in the Villain Archive of the Simulator. Anti-Venom is a mini-boss in Mission 1: Parasite City. Sandman has located Vulture and is willing to help defeat him. Vulture is a mini-boss in Mission 1: Parasite City. Scream is the boss of Mission 1: Parasite City. Potential cure for the Test Subjects. Research the Antiserum Bomb to complete this task. Hybrid can be found on the current Spec Op map. Spider-Man is a Team-Up in multiple fights in Missions 1 and 2 in Spec Op 18. Research the Sonic Sword to complete this task. Anti-Venom can be found as a Team-Up in Mission 2 and Mission 3 of Spec Op 18. Use Antiserum Bombs in combat on the Test Subjects found in any Spec Op 18 mission. Research the Supersonic Sword to complete this task. Fight Hybrid either on your own map or on your friends' maps for free. Hybrid respawns every 72 hours. Research the Net-Caster to complete this task. Sandman can be found as a Team-Up in Mission 1 and Mission 3 of Spec Op 18. Hybrid is the boss of Mission 3: Symbiote Showdown. Special operation 17 is live now. Total 25 Tasks need to be completed in order to unlock and recruit Falcon. Task 12 incorrectly states the Falcon is only a Team-Up in Mission 1. 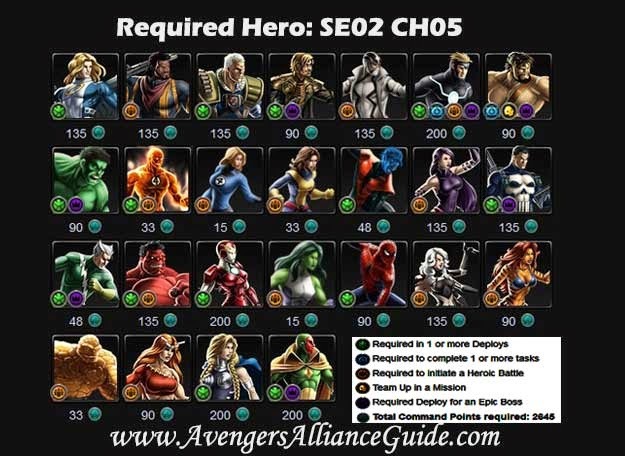 Falcon is actually the Team-Up for several combats in Missions 1, 2 and 3. The search for HYDRA's new super-soldier has stirred up HYDRA forces. They can be found in all Spec Op 17 missions. Deploy heroes to help handle HYDRA forces in Mission 1: Unknown Soldier. Falcon is the Team-Up for several combats in Missions 1, 2 and 3. Research the Vibranium Frag Grenade to complete this task. Vibranium Frag Grenades may be purchased from the Store, after being Researched. Research the Breaching Pistol to complete this task. Defeat Taskmaster. He is the Boss of Mission 2: Arms Race. 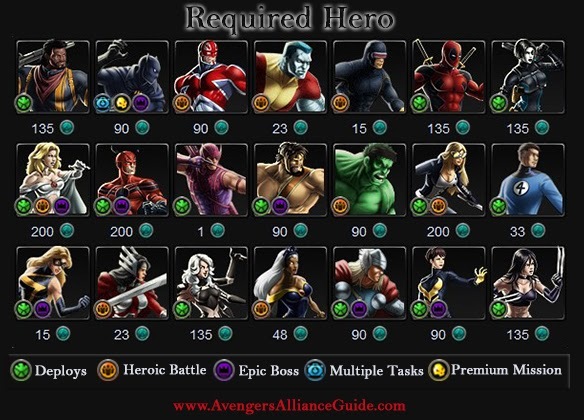 Captain America is a Team-Up in several boss fights in the Rusk's Route in Mission 1, Mission 2 and Mission 3. Research the Breaching Kit to complete this task. Use the Breaching Kit: Detonator Multi-action to complete this task. Fire the Breaching Kit: Pistol to apply an explosive, and the Detonator will become available. Sin and Viper are mini-bosses in Mission 3: Rain on Their Parade. Research the Combat Serum to complete this task. Combat Serum requires Serum Samples, which appear in Spec Op 17 Deploys and The Bosses in the "Stick to the Plan" paths in Missions 1, 2 and 3. There is still potential for improving the Combat Serum, but first, we must see how your body reacts to it. Before continuing, use the Combat Serum in combat. More test data is needed before refining the serum. Refined Serum Samples may be found on all Bosses after choosing Rusk's Route in each Spec Op 17 mission. Research the Refined Combat Serum to complete this task. Task 5 can be skipped at the cost of 10 Gold, saving you up to 23 Command Points if you don't have the required hero. Task 8 can be skipped at the cost of 10 Gold, saving you up to 33 Command Points if you don't have the required hero. Task 10 can be skipped at the cost of 20 Gold, saving you up to 380 Command Points if you don't have the required heroes. 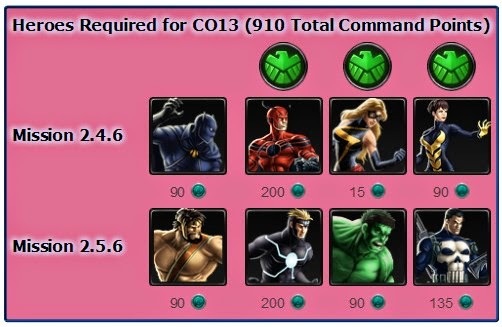 Task 11 can be skipped at the cost of 10 Gold, saving you up to 90 Command Points if you don't have the required hero. 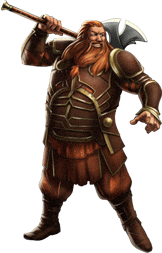 Volstagg wants you to spread the word. Send any three heroes on any flight deck mission. A.I.M. agents can be found in Season 2 Chapter 4 Mission 2: Heated Negotiations. Glazed Ham can be dropped by Jotun in Season 2 Chapter 4 Mission 3: Tourist Trap. 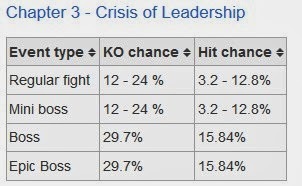 Hints: Any regular fight has chance to drop Glazed Ham. Including fights with Circle of Eight members. 4. Get in the Spirit! Volstagg wants you to get in the spirit of an Asgardian feast! Compete in PVP to test your skills against other players. PVP requires completing Chapter 1 Mission 4 of Story Mode. Heroic Battles are classic matchups between Heroes and Villains. To participate, you must have that hero recruited. Sif is in Season 2 Chapter 4 Mission 3: Tourist Trap. Incursions are battles against Heroes from alternate realities. They are found in Season 2. Hellfire Club locations with Brined Turkey, can be found in Season 2 Chapter 4 Mission 4: Circular Speculations. Defeat the enemies there to find Brined Turkeys. Complete Mr. Fantastic's deploy in Season 2 Chapter 4 Mission 5: Lockdown. Defeat Savin so the rest of the Richards can attend. Savin is the boss of Season 2 Chapter 4 Mission 5. As much as Volstagg likes a fight, Destroyer would dampen even the liveliest of parties. Defeat Epic Boss Destroyer in Season 2 Chapter 4 Mission 3: Tourist Trap. Complete the Heroic Banquet Brawl in Season 1 Chapter 2 Mission 6. Complete the Heroic Banquet Brawl in Season 1 Chapter 2 Mission 6. Requires Fandral. Collect Tankards for the feast. Tankards have a chance to drop in any fight in Season 2. With Life of the Party tasks there are lot of farming incoming. Three tasks will require lot of farming. Here are the odds for items. 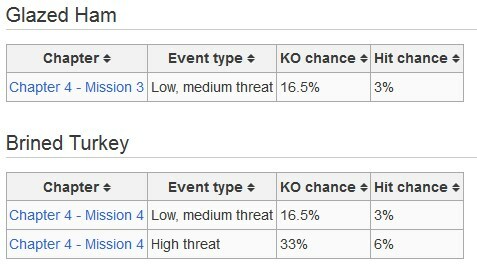 KO is chance for item to drop on knocking out enemy. 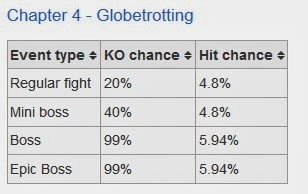 Hit is chance for drop during attack. 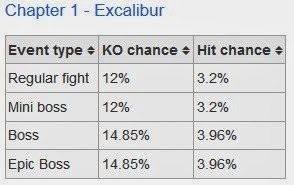 I'm not sure if it's per attack or if using character with lot of hits (Quicksilver, etc.) will increase chance here. Leaving this for others to figure.